When it comes to German automotive engineering, one name seems to come to mind more than any other: Mercedes-Benz. Known for being the leader in technological and safety advancements, and for its uncompromising quality and luxury, the Mercedes brand has come a long way since its founding in 1926. 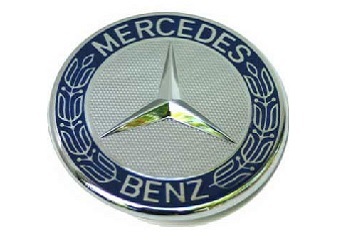 It wasn’t until the end of World War II, however, that Mercedes Benz would become a household name. Today, Mercedes classic cars are some of the most desirable and sought-after in the classic car market. First launched in 1951, the Mercedes Benz 300 saw more than a decade of production in which it underwent several specification changes. The 300 would be succeeded by the 300B in 1954, with ten more horsepower, larger brakes, and higher compression. In 1955, the 300C would be released and offered the first option for an automatic transmission. The 300C would be replaced by the 300D in 1956 and offered a flatter, squared roofline, longer rear fenders, and a slightly wider grille. The very rare 300S and 300SC models were also available during this time, but were very limited edition, with only 760 models manufactured. Collectors love the old world, handcrafted workmanship, and charm that come with the 300 models. Famous owners have included everyone from Clark Gable to Bing Crosby and the Prime Minister of Thailand. The Mercedes 300SL, launched in 1954, is an icon of the automotive world. Voted the Sports Car of the Century, the 300SL was exactly the car that Mercedes needed to transition from being the purveyor of finely crafted sedans to being a leader in the sports car scene. Today, the Mercedes 300SL is easily one of the most recognized and sought-after classics in the world. Developed in 1955, the Mercedes 190SL was designed to give buyers a stylish alternative to the more powerful Mercedes 300SL. Offering a 1.9L four-cylinder engine the 190SL would become the poster-car of the generation. Today, it is an excellent choice for those collectors who want a stylish, powerful, and iconic classic either for an everyday driver, restoration project, or showpiece. The classic Mercedes Pontons have an interesting history. First introduced in the spring of 1954, the type 220 was the first Mercedes Benz six-cylinder with a unitized body design. It offered an ultra-modern and spacious “Ponton” body, which Mercedes has presented just six months earlier in the mid-range 180 model. The launch of the overhauled and more powerful 220S in 1956 and the 220SE in 1958 would make the Ponton a permanent fixture in the manes of high-end Mercedes models; one that would go down as perhaps the most stately of the classic Mercedes. Used by Heads of State, government officials, and celebrities of the day, today, the Pontons are some of the most beautiful Mercedes to grace the classic car market. During the 1960’s, Mercedes launched the 230SL, 250SL and later, the 280SL; these were known more as sport touring cars rather than out-and-out sports cars. The 230SL models boasted an inline six-cylinder engine with fuel injection and were rear wheel drive. New to Mercedes, however, was the use of independent rear suspension – a move that greatly improved road handling on these models. The 250SL, launched in 1967 would feature an increased engine and new safety features. Also offered was the “California Coupe,” which presented only a removable hard-top and no soft-top. The 280SL would come down the line in 1967 and was perhaps the most comfortable of the grand tourers, even offering a 4-speed automatic transmission and air conditioning. Today, these models are widely collectable and are still being used as everyday drivers. To learn more about the many classic Mercedes models, The Beverly Hills Car Club welcomes you to tour their website at your leisure. Here you’ll find a wealth of resources including Buyer’s Tips for each and every model and model-year. Should you have any questions or would like to see a car in inventory, do not hesitate to contact them today! They look forward to hearing from you soon. We Also Buy Classic Mercedes’ In Any Condition, Top Dollar Paid.